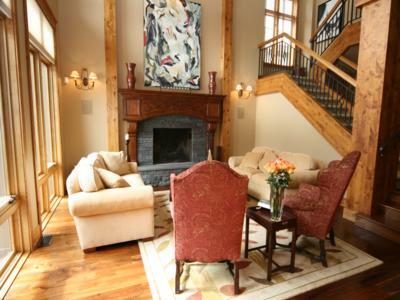 Located on the 1st green of the Nicklaus North Golf Course, The Chalet is minutes north of the Village and the mountain lifts in a quiet exclusive residential enclave with spectacular views of the mountains. 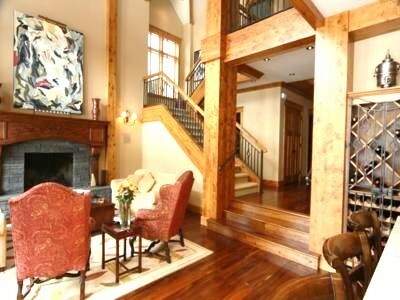 This 4 year old executive home features the best that Whistler has to offer. 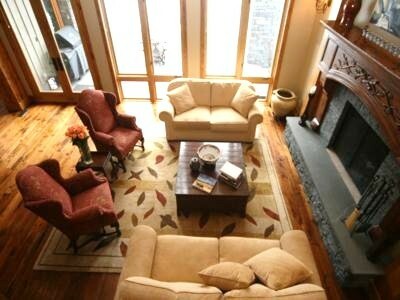 The main floor has an open Great Room floor plan with walnut and stone flooring throughout. The gourmet kitchen features large granite counters with Downsview Cabinetry and top end Viking, Sub-Zero and Miele appliances. 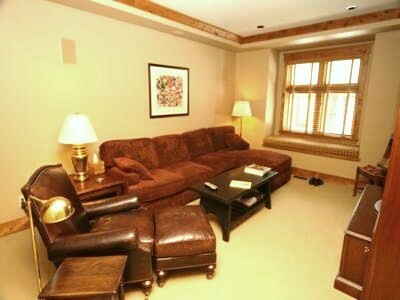 The separate media room includes a large LCD HD TV with satellite access and surround sound. 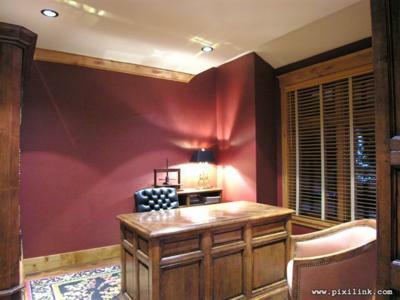 The main floor also includes an office, a powder room and a laundry room. 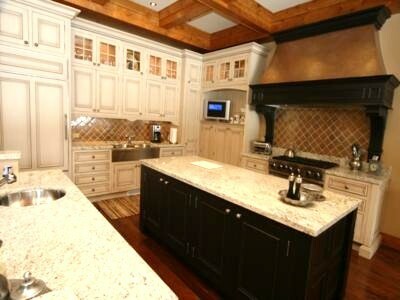 Wireless internet access is available throughout the house and the telephone system includes 4 portable phones. 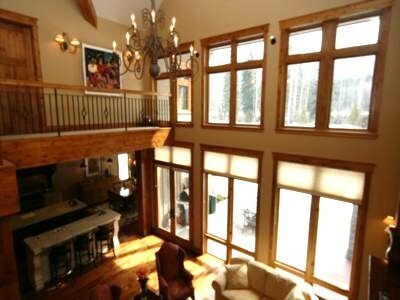 The hot tub is located outside with easy access to the bar, has piped in music and mountain views. 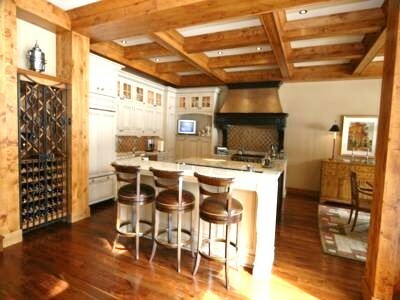 The entertaining area has a 28 foot vaulted ceiling topped by a pyramid skylight. 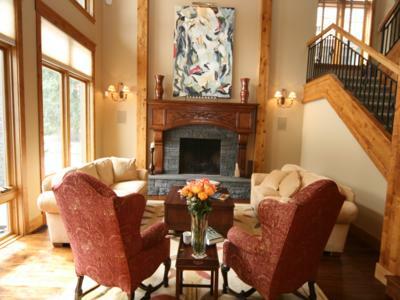 A large wood burning fireplace is the centrepiece of the living area. 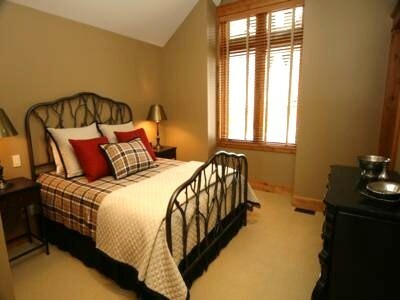 The Chalet on Muirfield has 4 carpeted bedrooms on the second level. 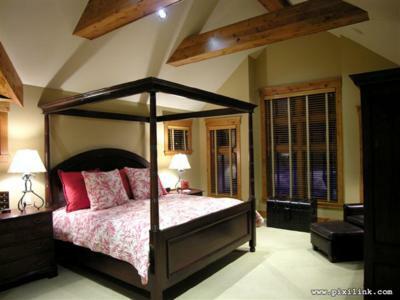 The Master features a King size bed, TV and piped in music. 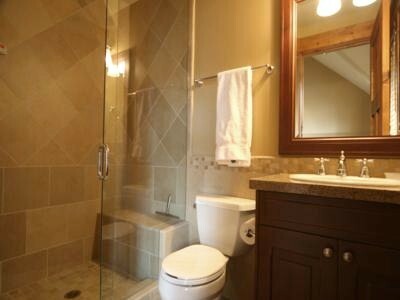 The ensuite includes a large shower and separate bath tub. 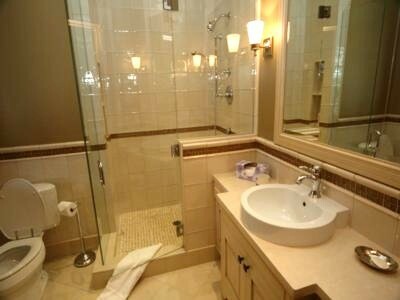 The other bedrooms have Queen beds and all have ensuites with showers. 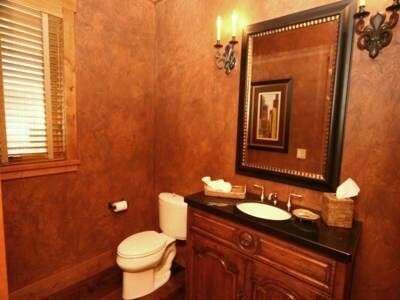 The middle bedroom has a steam shower. 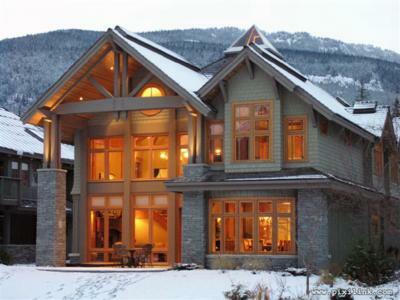 The Nicklaus North neighbourhood is located 4 kilometers North of the Whistler Town Center along the shores of Green Lake and the Jack Nicklaus designed golf course. 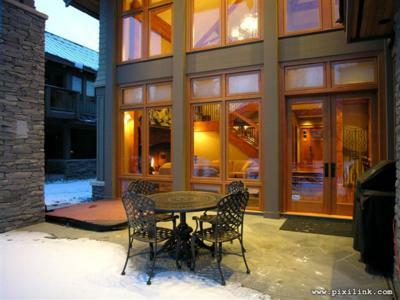 During busy traffic periods in Whistler a location north of the Village and the lifts is very desirable as it will save both time and frayed nerves as massive traffic jams regularly occur on the south side. Nicklaus North has all the advantages of a gated community, with only one access road into the neighbourhood, away from the noise and bustle of the Village and its bars and restaurants. 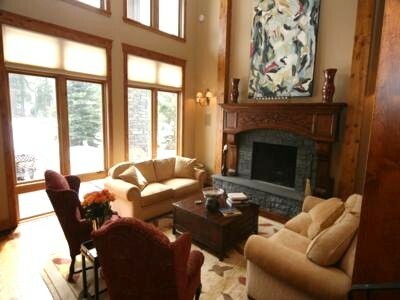 Spectacular mountain, lake and golf course views abound. 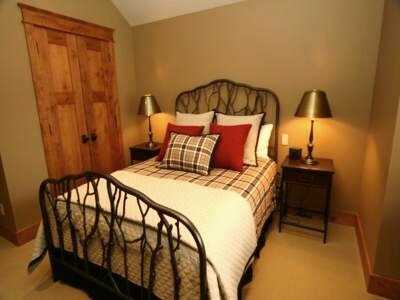 Queen beds can be changed into 2 single beds upon request. 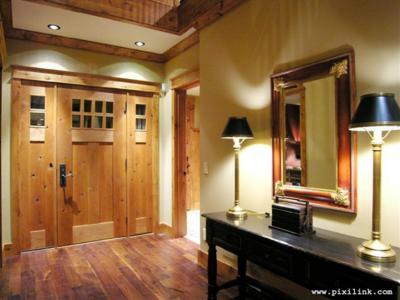 Greenside Chalet was a wonderful, warm, charming and extremely well equipped home. We enjoyed our stay very much and felt that it was a home away from home we had stepped into. 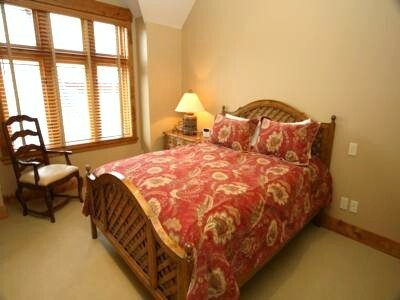 The bedrooms were beautifully decorated with well chosen pieces of furniture and decorations. 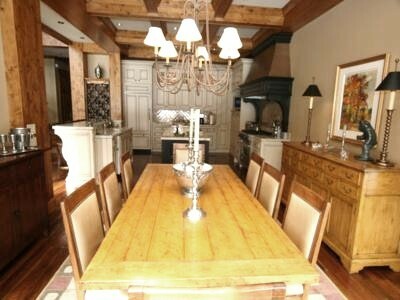 The kitchen was absolutely a chef's and baker's delight with mixers, blenders, formal cutlery and service sets available to entertain and cater for a large group of people in style. Thank you very much for such a wonderful holiday!